Four decades after the transition to democracy, families victimized by Francoist repression have organized in a quest for justice. Some 60 years earlier, Spain’s fascist dictator, Francisco Franco, had uttered the same phrase. “Spain presents itself to the world as an example of peace and order. We will never sacrifice this unity, this peace, and this order for anything or anyone,” he told parishioners in Granada during a 1957 speech at the National Eucharistic Congress. During Spain’s four-decade-long dictatorship, “peace and order” were often invoked to justify the government’s violence and repression of the population. As early as 1945, Falangist newspapers were patting the dictatorship on the back for “having established in our country a peace and order that no other country enjoys.” During Spain’s transition to democracy, in the mid 1970s, Adolfo Suárez, the first president elected following Franco’s death, embodied what people would come to call “social peace and juridical order,” adding merely a pair of adjectives to the Francoist mantra. Unwittingly echoing Franco, Rivera simply channeled an idea still held by a surprisingly large number of Spaniards: that the dictatorship wasn’t such a bad thing after all, and that, although he wasn’t a democrat, Franco saved Spain from communism. Had Rivera referred to Hitler’s Germany or Mussolini’s Italy—the allies who helped Franco gain power—there would have been a public outcry. Yet only a handful of papers, almost exclusively confined to Spain’s burgeoning alternative media, covered and censured Rivera’s comment. Mainstream dailies, including the country’s paper of record, El País, ignored it, while right-wing outlets, such as La Razón or Libertad Digital, decried any criticism of Rivera as a smear campaign from Podemos. The climate around “historical memory” has dramatically shifted over the past decade and a half. Years ago, no one would have openly called out Rivera for his comment. But the climate around what is today referred to in Spain as “historical memory”—shorthand for the complicated legacy of the Spanish Civil War and ensuing dictatorship—has dramatically shifted over the past decade and a half. Since the turn of the century, the families victimized by Francoist repression have organized in a quest for justice, changing the narratives of Spain’s past and present alike. Today, exactly 80 years after the military rebellion that unleashed a three-year civil war and led to an almost 40-year dictatorship, these families enjoy the support of the country’s new progressive political class and a couple of daring judges. While the benevolent image of the Franco regime is finally crumbling, Spain might yet see some of its surviving officials end up in the dock. Ascensión Mendieta celebrated her 88th birthday on an airplane en route from Madrid to Buenos Aires. She was on her way from her native Spain to testify to an Argentine judge about the murder of her father, Timoteo Mendieta, who was arrested in November 1939, shortly after Franco’s victory in the Spanish Civil War. The head of the local socialist union in his small town near Guadalajara, he was convicted of treason, shot, and buried in a mass grave along with 21 others. He left a family with seven children. Ascensión made the trip in December 2013 and, this past January, the remains of her father were exhumed on orders of María Servini, the Argentine judge. Servini has been investigating Franco’s crimes against humanity under the principle of universal jurisdiction, by which severe crimes may be investigated by any court in the world. Almost forty years after Spain’s transition to democracy, the court-ordered exhumation marked a new chapter in the country’s troubled relationship with the legacy of its civil war and ensuing dictatorship. During the Spanish Civil War, which raged from 1936 to 1939, almost 200,000 Spaniards were disappeared or murdered extrajudicially behind the lines. The Franco regime, which lasted from 1939 to 1975, executed an additional 20,000 of its own citizens, while more than half a million spent years in concentration camps, prisons, and under conditions of forced labor. In 1977, two years after Franco’s death, an amnesty law erased all judicial accountability for political crimes committed since 1936. Unlike other nations with histories of dictatorship, Spain has never gone through the equivalent of denazification, truth and reconciliation commissions, or any other form of cultural, economic, or legal reckoning with its own past. Not one regime official has ever faced trial and many of Franco’s victims remain buried in roadside ditches and other unmarked locations. Around the turn of the millennium, people decided to take matters into their own hands. 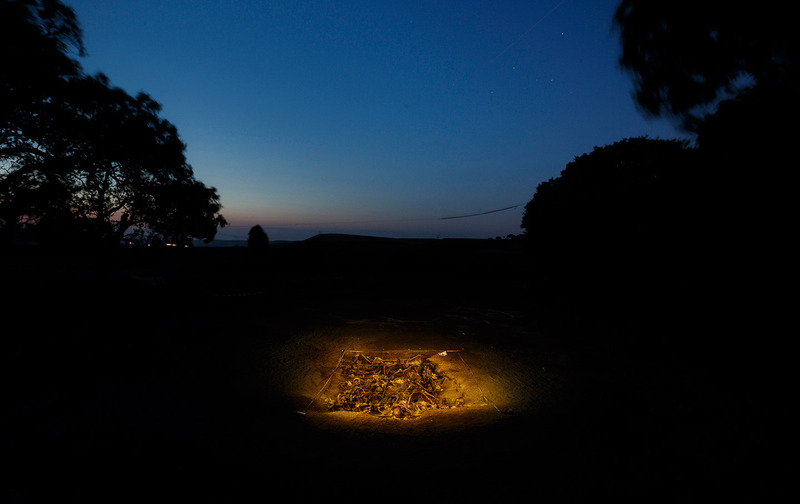 Citizen organizations in Spain have been locating and exhuming graves for the past sixteen years on a volunteer basis and a shoestring budget. They have also been fighting a legal battle for recognition, reparation, and state support. “The mass graves are a Spanish mirror that we have been avoiding for forty years,” journalist Emilio Silva tells us over lunch in Madrid. Silva, who located and exhumed his grandfather’s body in 2000 in Priaranza del Bierzo, went on to found the Association for the Recovery of Historical Memory (ARMH), perhaps Spain’s most important historical-memory organization. “Now we are telling the country: don’t look away, that there is you,” he says. Since 2000 the ARMH and similar groups, assisted by the Basque forensic anthropologist Francisco Etxeberría, have opened 648 graves, recovering more than 7,865 victims. No one knows how many more remain. Estimates number into the tens of thousands. Typically, evidence of a crime—even one that happened decades ago—beckons legal inquiry. Even if amnesty laws preclude sentencing, they do not release the legal system from its obligation to investigate any suspected crimes. In fact, historical-memory associations have continually reported the mass graves they’ve found to the local courts. Asención Mendieta, the daughter, first tried to recover the remains through the local government in Guadalajara, less than an hour east of Madrid by car. But, as with many similar cases, the local government obstructed the exhumation, forcing her to seek support elsewhere in her quest to recover her father’s body. The Mendieta case has drawn attention in Spain and beyond because it confirms a shift in legal recognition. Being the first foreign-court-ordered exhumation in Spain, it sets an important precedent, based on universal jurisdiction, that the Spanish courts can no longer ignore. Exhumations usually begin with a phone call or an e-mail. Every exhumation the ARMH conducts is spurred by a petition from a victim’s family member. It’s an important and often overlooked point in a frenzied media climate that likes to paint historical-memory organizations as groups of people who like digging for the heck of it—whether it’s into Spain’s Francoist history or the country’s soil. Next come months of investigation. The organization consults a wide array of documents—history books, maps, letters, photographs, and whatever official documentation the regime left behind—but the most important are often found in the archives of local government offices. Then, a date for the exhumation is arranged with the family. At the crack of dawn on the day of the exhumation, volunteers pack into cars and vans crammed with all kinds of equipment—shovels, jackhammers, safety gear, brushes, and reams of paper to document the dig. The graves appear in unexpected places: near a church, in a forest, or, as was the case with Timoteo Mendieta and other recent digs, in an unmarked cemetery grave. Exhumations, which often take place in small towns, attract onlookers, new volunteers, and even political officials. During one that took place in Villafranca del Bierzo last November—just miles from the first ever exhumation site, in Priaranza—the mayor of the town, José Manuel Pereira Vega, stopped by on the first day, just hours after we’d arrived. The mayor is a member of the conservative PP, “but he’s not an ‘ultra,’” Marco González, vice president of the ARMH, said. “Lots of other mayors haven’t done this,” he added, referring to Pereira’s visit. Volunteers come from all walks of life, and not just from Spain. There’s the remarkable story of Toru Arakawa, who in 2006 came all the way from Japan and spent three years volunteering for the ARMH. There’s an effort under way to posthumously confer Arakawa, who died in 2010, Spain’s Order of Civil Merit. But many volunteer stories are more modest and personal. We spoke to Lisardo Astorgano, who was one of a handful of those lending their labor to the exhumation in Villafranca del Bierzo. At around 45 years old, he said he only began volunteering a year and a half ago. He tells us what inspired him to volunteer: One of his father’s childhood friends, who was in his 80s and lived in France, contacted the association to see if they could find his own father, who was murdered near the city of Ponferrada during the Franco regime. The ARMH managed to locate the gravesite and Astorgano helped out during the dig, which he said was an unexpectedly transformative experience. He hasn’t been able to put down his shovel since. He became a dues-paying member of the ARMH even though, like 4.79 million other Spaniards, he is unemployed. He continued to volunteer for many reasons, he said, but one of them was personal: Astorgano’s grandfather was a math teacher at a school in Ponferrada when Franco’s army launched its coup d’état in 1936. He wasn’t killed by Francoist forces, but they forced him to teach at a school that was six kilometers away. Astorgano remembers hearing stories from his mother, who recalled, at age 6, walking the distance by herself every day to bring her father lunch. The exhumations have turned into a form of collective therapy, creating a space for dealing with questions that Spain’s transition to democracy left unanswered. “An exhumation generates a lot of problems and family tensions,” says Francisco Ferrándiz, a social anthropologist who has been studying the exhumations for years. “While a death in any family causes suffering, people generally have resources and rituals—even if they are not religious—to process a death by accident or illness. But the appearance of a dead body from 70 years ago, finished off with a shot in the head—that’s not something many families are prepared for.” And politics isn’t always hereditary. “Some children and grandchildren of people who were shot for being left-wing now support the conservative PP,” says Silva. “Some are embarrassed to admit it, but others couldn’t care less.” Overall, however, Ferrándiz has observed that the exhumations don’t divide communities as much as bring them together. But that story has yet to find an ear with the Spanish courts. In 2007, Spanish lawmakers passed the Law of Historical Memory, which grants modest reparations to victims but stops short of revoking the amnesty law and is ambivalent about the exhumation of mass graves. The law also, presumably, requires the government to modestly fund the work of historical memory organizations. But, as the war photographer Gervasio Sánchez says, “The law was a joke.” “Not only was its budget insufficient but, absurdly, it put the burden on the family members of victims to request subsidies to fund exhumations,” says Sánchez, who has spent 30 years reporting on forced disappearances around the world. “That should have been the job of the state and the judiciary. International law is very clear on this point. 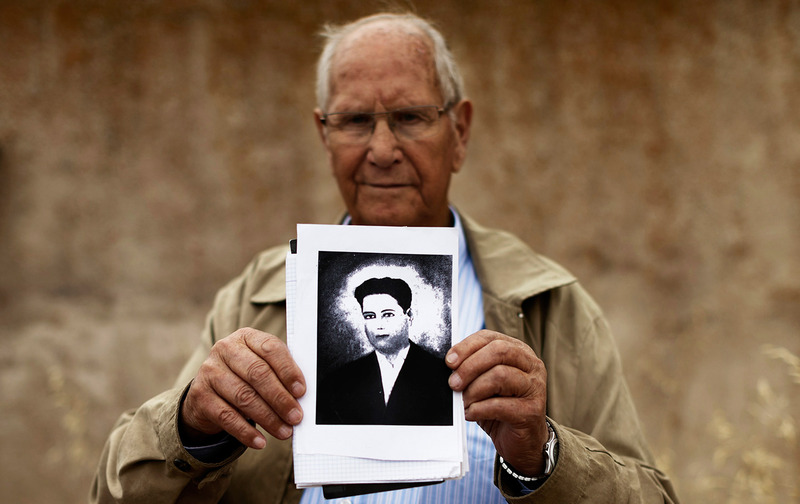 Forced disappearances are a crime against humanity, and it’s up to the state to locate, exhume, and identify the victims, and then return the remains to the families.” The exhumation of Timoteo Mendieta occurred only after Silva’s ARMH filed a suit for genocide and crimes against humanity with the First Federal Court in Buenos Aires in April 2010, when it became clear that no legal routes in Spain existed. 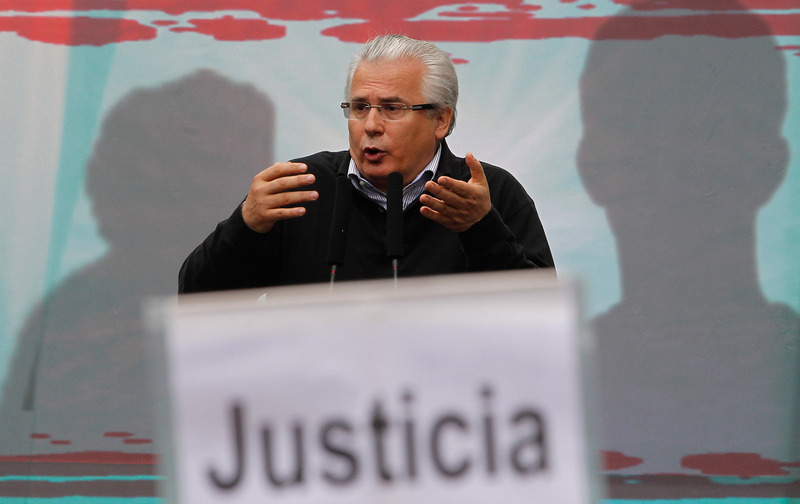 In October 2008, judge Baltasar Garzón tried to open the country’s first legal investigation into Francoist crimes, initiating proceedings against 35 former officials of the Franco regime as suspects in the death or disappearance of 114,266 Spaniards between 1936 and 1951. Appointed at a relatively young age to Spain’s national criminal court, Garzón achieved worldwide fame in 1998 when he indicted Chilean former dictator Augusto Pinochet under the umbrella of universal jurisdiction. Following the Pinochet case, he became involved in a number of high-profile cases related to political corruption, drug trafficking, terrorism, and international trials for genocide and crimes against humanity involving military commanders and former heads of state in Argentina, Israel, China, the United States, and other countries. But Garzón’s bold attempt to investigate his own country’s dictatorial past set off a backlash that ended in his disbarment four years later at the hands of the country’s Supreme Court. Despite claims from Amnesty International and others that it violated international law, the Court affirmed the 1977 amnesty law as an untouchable foundation of Spanish democracy. The ruling PP—founded by Franco’s former minister of tourism—has long refused to acknowledge the need for historical memory. The party often falls back on the questionable idea that revisiting past conflict only serves to “open old wounds.” In 2007 it voted against the Historical Memory Law, which was adopted under a Socialist majority. When the PP took over the government in 2011, it reduced the budget for the law to zero, effectively eliminating its rather limited function. The government has also ignored reports from the United Nations that accuse it of violating international treaties on forced disappearances and mass graves. In 2015, the UN Human Rights Committee urged the Spanish state to take a more active role in investigating crimes committed under Francoism. The UN has also called for a revocation of the 1977 amnesty law, an option that is anathema to Spain’s political and judicial establishment, the Socialist party included. As Judge Garzón pointed out in an op-ed last year, it is ironic that Spanish democracy, which distinguished itself as a pioneer in international human rights law and universal jurisdiction, is now slapped on the wrist for failing to meet the standards it helped set. “What credibility can a country have that, like Spain, holds a contradictory position between what it defends abroad and what it applies within its own borders?” Garzón wrote. But Spain’s political class has long been uncomfortable with its own boundary-pushing judiciary, which has sometimes complicated relations with powerful allies and trading partners. In 2009, Spain’s two largest parties, the PP and the Socialists, agreed to restrict the scope of universal jurisdiction. “It was a backroom deal concocted by two parties that otherwise never agree on anything,” Gervasio Sánchez, the photographer, says. “And they rammed it through Parliament. Why? Because of the pressure from China, the United States, and Israel.” Judicial experts worldwide criticized the move as regressive. Recent changes in city governments, however, have breathed new life into the victims’ fight for justice. In May 2015, a judge in Soria, a provincial capital north of Madrid, unexpectedly opened a legal investigation into the murder of ten men killed in the first month of the war, whose remains were exhumed in 2013. A growing number of city councils—including Pamplona and Zaragoza—have joined the Argentine suit and are filing their own with Spanish courts as well, while other cities are in the process of doing the same. In its electoral program, Podemos has called for implementation of the UN recommendations. Even Albert Rivera’s Ciudadanos party recognizes the right of families to recover the remains of their loved ones, though it opposes revisiting the amnesty law. Although it is not clear what governmental coalition will come out of Spain’s fragmented new parliament, it will face increasing pressure to bring its policies in line with established international policies on transitional justice.